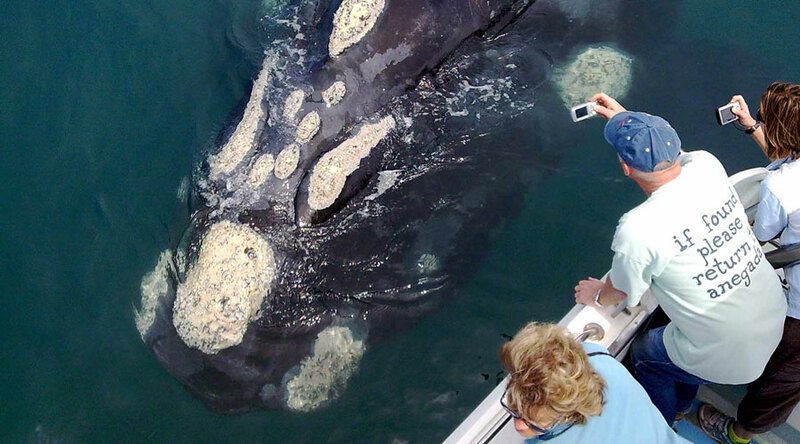 We operate in Area 6 of Walker Bay which is celebrated as the best location from which to view the magnificent Southern Right Whales. 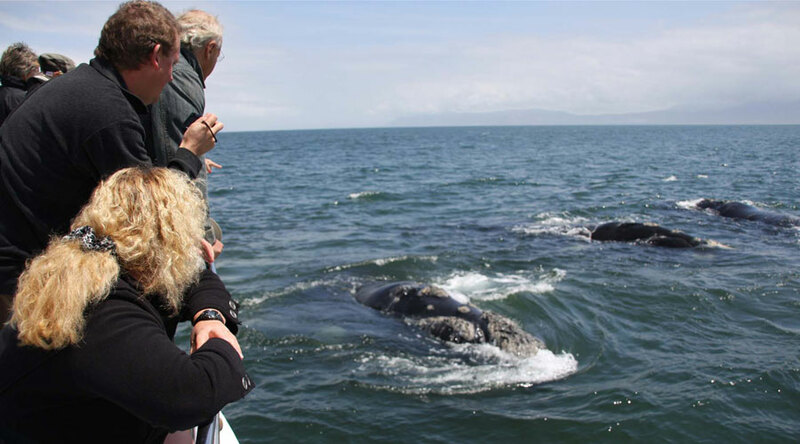 Our guests are looked after in lavish style by our fully qualified, proficient and registered whale guides whose only duty is to make your trip as memorable as possible. The safety of our guests is paramount and we have all-encompassing public liability insurance. A typical trip will have you exploring our magnificent coastline and bay while looking for whales, dolphins, sharks, seals and seabirds. Apart from the Southern Right Whales, we are able to view Brydes Whales, Humpback Whales and possibly even Great White Sharks.There are many Cape Fur Seals, African Penguins, Dolphins, Sunfish and plenty of coastal marine birds to been seen whilst out at sea. 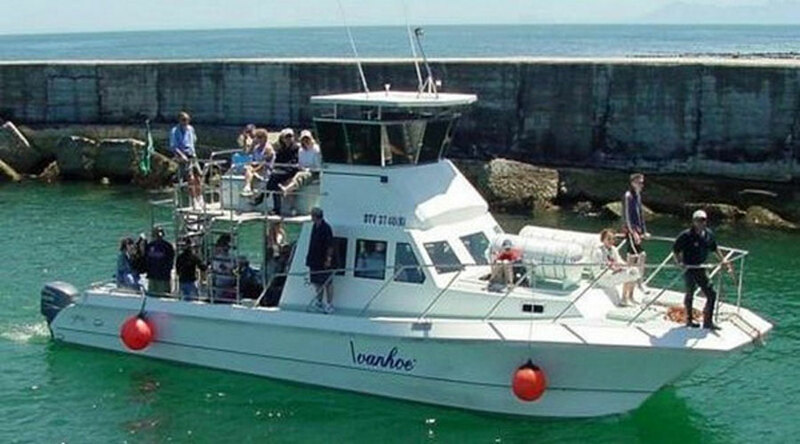 Ivanhoe is a 42 ft. catamaran, which was specifically designed and custom-built for whale watching. Our extensive experience gained from over 6000 close encounters with our majestic whales was our inspiration for the design of the Ivanhoe. The most experienced whale skipper in South Africa specifically designed the “Ivanhoe” to provide an exceptionally safe and stable vessel from which to view whales.